Prior to Mon Jan 28th: Register online prior to tryouts on Monday, Jan 28th after school. Monday Jan 28th: Attend Tryouts and do your best to impress the coach. Details below. Made the team? Check with the Coach or Athletic Director. Congratulations for making the team and representing Chaboya! Remind App - Team and parent information will be added to the Soccer teams Remind App for real-time communication from the Coach or Athletic Director, as needed, for last minute changes not listed online. You will receive a Remind email notice once registered. Tryout details, practice and game schedule below. If you have any questions, please do not hesitate to contact the coach or me via the Remind App or email. You must have a signed online parent/student registration form to attend this tryout. 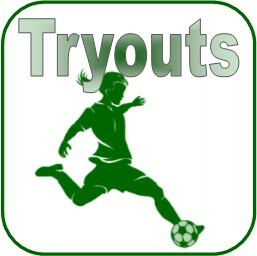 Tryouts for the boys and girls soccer teams begin Monday, January 28. Equipment: Come dressed in your PE clothes ready to tryout. 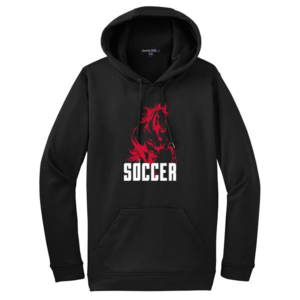 Shin guards and soccer cleats recommended but optional for tryouts. Instructions: All athletes (girls and boys) who are trying out need to report to the locker room at school dismissal and get dressed for try-outs. Supervised by Ms. Hodgin and will be directed to the soccer field by Ms. Hodgin. Team will be finalized no later than Thu, Feb 7th. Come prepared to workout with practice gear. Bring water. Coaches will be using the Remind App to have the coach or managers contact the team and parents on last-minute changes for practice or games. Once tryouts are complete the roster and parents will be added to the appropriate Remind class. The Remind App will notify you via email or mobile text once we register you. NOTE: Verizon users MUST READ to ensure Remind App notifications can notify your mobile phone. Athletes must be on the field ready to warm-up 45 min. prior to game. Each game is 60 minutes. Home team determines which team plays first, boys or girls if one field is available. Boys & Girls team support each other and are on location the entire game time for both games. Please plan appropriately for away games. Coach will send a Remind App message if there is a change.